The septic tank is a private sewage disposal system used in country rural areas. Basically, all the waste water is collected within a large compartment chamber, traditionally made of concrete, these days the tanks are generally made of plastic. There are different septic systems used depending on local council requirements but generally the water overflows through an irrigation trench to slowly filter into the ground away from the property. The septic system rely on a scum forming on top of the liquid and therefore allow anaerobic bacteria to decompose most of the solids. Because not all the solids are broken down, it is necessary to have the vessel “septic tank” emptied annually to remove the accumulation of the excess sludge that will not decompose. Failure to do so may lead to a blockage in the system. This is where a regular maintenance program to maintain the septic tank in a good working order is important to the home. It is important that harsh chemicals don’t go into the septic system as these will kill the bacteria’s that you need in a septic tank system to work efficiently. Its’s important to know where your septic tank is located in the back yard and where the field drains run. As with all types of drainage and waste plumbing in the home, it’s good to know where any inspection openings are located, incase cleaning of drains is required. The last thing you need is a blocked septic tank system! 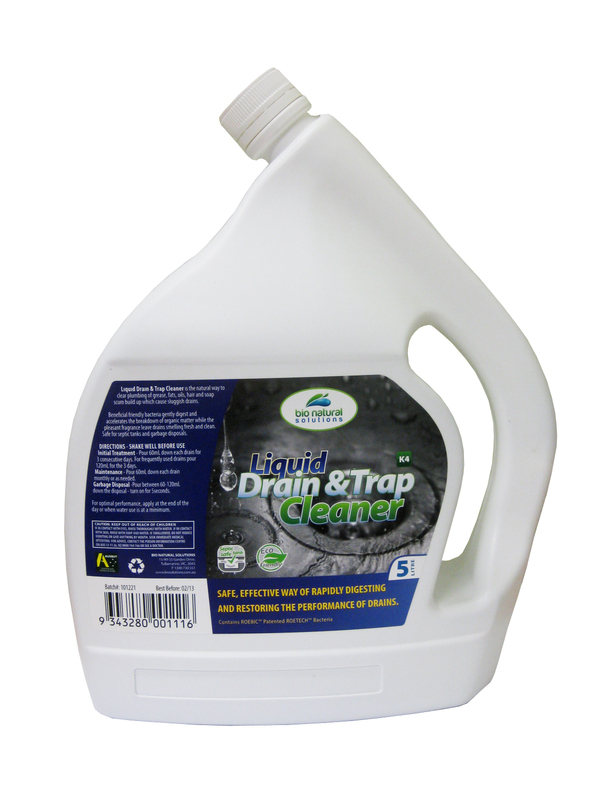 Blocked Drain Pipe Solutions offer a natural drain cleaner that combines low cost, effective drain and septic system cleaning with all natural ingredients and is environmentally safe. Blocked Drain Pipe Solutions products were created as an alternative to other drain cleaning products that may work on your drains and septic systems as they are toxic to our environment. Our drain cleaning products contain a bacteria formula that works without the chemicals, caustics, acids and solvents that are very hazardous to humans and the environment. So, how does Blocked Drain Pipe Solutions products work to clear your drains and treat your septic tank system without damaging the pipes and more importantly the water systems it flows through? Blocked Drain Pipe Solutions offers drain cleaner products that contain 6 specifically select patented bacillus bacteria with each strain producing enzymes resulting in an extremely powerful biological product breaking down the source of the problem. Molecules which make up odours, blockages and stains are joined together by difficult chemicals. These molecules are joined by these chemicals. With specific, highly concentrated mixture of bacteria, the drain cleaner produces multiple enzymes which safely break down the chemicals which join the molecules. Once the chemicals have been broken down by the enzymes, the friendly “good” bacteria, starts to feed on the remaining organic matter. The problem has been removed naturally through this drain cleaning process, with no masking agents covering the odour and no harsh chemical cleaners were used to treat the problem. Blocked Drain Pipe Solutions products, gobble up those food particles, fats and oils and leaves your plumbing drain pipes and septic tank systems clear and odour free. Technically speaking, Blocked Drain Pipe Solutions patented biological formula is naturally occurring bacterium specifically selected and developed to degrade organic pipe deposits. When Blocked Drain Pipe Solutions products are applied to your plumbing system, it jump starts microbial activity with bacterial cultures that rapidly break down carbohydrates, cellulose and fats.